In most mainstream Christianity, you have the father, son, and holy spirit, all three being physical/spiritual representations of god, all three being no less god than the last, kinda like water, steam, and ice. Oh boy, T-72 variants! What a time for scale model manufacturers to make new kits loosely based on blurry black and white parade photos! 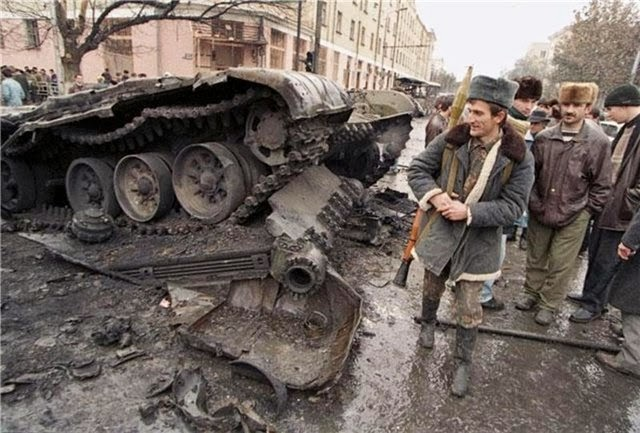 The Object 432/T-64A and T-72 had the same fire-control. Can't comment on later models. Consensus opinion on Tanknet is that Iraqi T-72s were not deliberately downgraded, but that they were older models that didn't have all the fancy wizz-bang stuff that the latest Russian makes did. This is in contrast to Soviet export combat aircraft, which in some cases definitely were deliberately downgraded. Whelp, looks like someone had done all my work for me. Eh I know the guy who runs that blog... He knows more on the T-72 than anyone I could talk to. Kampfpanzer.de has good information on -72 variants. Hey, I thought I was the official poster of Jim Warford ARMOR articles on the internet! 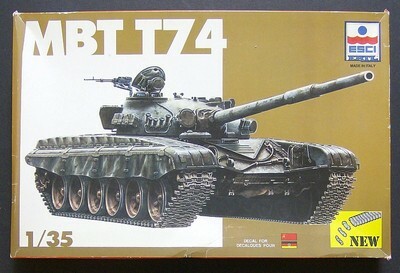 As to the model kit EE posted of the T-74, that tank was not nearly as cool as the T-70. The T-70 got all sorts of press in Western intel reports back in the day. In fact, I can point to some early 80's era Armor issues where a young Lt. Jim Warford is arguing about the T-70 with a young civilian Soviet tank expert named Steven Zaloga. T-70... the light WWII tank? Jeez, don't you guys know anything about cold war soviet tanks? The T-70 MBT! It totally existed, at least in the minds of western intelligence experts. 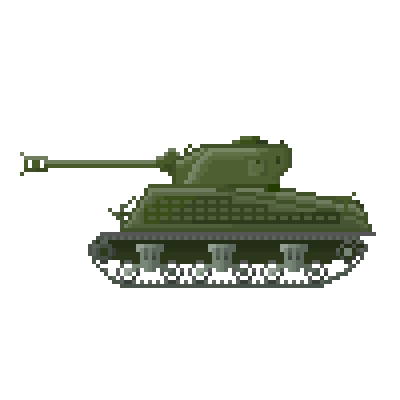 It looked almost exactly like a very early T-64 but it was somehow different. Much like bigfoot, it only existed in blurry, hard to see pictures. That was a hell of an interesting article. Maybe we should add here T-72 timeline and compare it to NATO tanks timeline. I'd love to see the result of a real fight between NATO doctrine and WARPAC Doctrine. From what I've been given to understand, given proper training time, Soviet era Combined Arms doctrine works pretty decently against NATO forces from the OPFOR exercises at IIRC, Fort Hood. Would you mind inviting him to this forum? That would be lovely. I believe that some Iraqi T-72's were not downgraded, rather older models as noted. However, many of them (namely the ones mistaken as the "Asad Babil") not only lacked basic features all soviet models did, but were also made out of just steel, had no IR filter on the light etc. It's hard not to call that a downgrade. I wonder if anyone came up with a unit dedicated to leaking blurry pictures of things to Americans. Having looked at T-90MS (or SM, as you prefer) it seems to have retained the carousel auto-loader inside the turret with additional main armament rounds stowed in the bustle under blowout panels. The traditional Western view would have gone for the autoloader in the bustle and the other rounds (where?) -a la Leclerc? Can anyone tell me whether the Russians ever seriously looked at an autoloader with the ammunition in the bustle for the 125mm gun. I realise the two piece ammunition might be a problem, but was any serious consideration given and, if so, why was it not proceeded with? Even in just export market terms, it would overcome the criticism that the internal ammunition stowage on the T-72 and derivatives (and T-64 and derivatives) was an additional vulnerability. Which leads to comment on whether your ammunition stowage matters a damn if you are penetrated by a modern FSDS or HEAT round? Is this the area to discuss this whole ammunition stowage as part of the layered protection concept issue? Bill, in Soviet tanks thread i posted a picture of 3D model of Burlak turret and several photos of T-72 test vehicle with Burlak turret prototype. This turret had a bustle autoloader for 2A46M series of tank guns. You can search it for more info, i am posting from mobie device. They did, and more than once... Object-640 used a bustle-loader in combination with a 2A46M, though the project went to bust with the bankrupting of Omsktransmash. Burlak turret, intended for the T-72, also used a bustle loader. The reason for not actually buying them, I don't know...but as a whole it would have been very expensive, and while it used a bustle loader, it also retained the carousel in the hull. The "additional vulnerability" came more from exposed rounds, rather than the idea of hull-storage itself. T-64/80 used a vertical propellant carousel, that left that propellant exposed. Because it was vertical AND exposed, a decent number of penetrations would lead to a cook off. T-72's use a horizontal carousel, that isn't exposed...however, rounds *can* be stored along the inside of the crew compartment, where they are exposed. That is where the problem came from, *exposing* propellant. T-90MS fixes this problem by adding more armor to the carousel, and also by putting excess ammunition in the bustle instead of the crew compartment. Bustle-loaders are very safe for the crew, but they also provide little, if no protection for the rounds. This is one area where hull storage actually makes sense. This is a work in progress, please feel free to comment, or help me with info and links. Click here to see the new The Sherman Tank Website! All content is still discussed and previewed in this thread. If you have feedback or want to help with the content, this thread is the best place to do it. The Epic M4 Sherman Tank Information Post. The Sherman tank over the last several decades has had its reputation severely soiled by several documentaries, TV shows, and books, all hailing it as a death trap, engineering disaster, or just a bad tank. The Sherman tank may be the most important, and arguably the best tank of the war. The only other contender for the best tank award would be the Soviet T-34. These two tanks are very comparable and would fight each other in later wars, staying very comparable through their service lives. This post will cover why the Sherman was a better tank than anything Germany, Italy or Japan produced during the war, on both a tactical and strategic level. I will not be reproducing the work of others, and will link to the places that already cover some information. I will cover all the major changes made to the each Sherman model. I will try and cover the many post war variants as well, but that could take months, there are a lot of variants of this venerable tank, including ones that involve putting the engine from one hull type into another hull type and or tanks modified by other countries with no feedback from the American designers. I’ll try and get civilian use in here as well. Some variants have heavily modified turrets, or replaced it with a new one. To really know why the Sherman was designed the way it was, you have to know about the M3 Lee. The M3 was the predecessor of the M4. It was based on M2 medium, the US Army’s only foray into modern medium tank design, and was the fastest way a tank could be designed with a 75 mm M3 canon fitted. The US lacked the jigs to make a turret ring big enough to house a gun that large in a turret; the Lee went into production while the turret ring problem was being solved, by mounting the gun in a sponson mount. It had become clear to the US Army that the 75mm canon would be needed based on feedback from the British, and observations of how the war was developing in Europe. One of the reasons for the reliability of the M4 design was the use of parts that started their design evolution in the M2 medium and were improved through the M3 production run. Over the life of M3 Lee and M4 Sherman the designs were continually improved as well, so a final production, M3, or M4A1, bared little resemblance to an initial production M3 or M4A1, yet many parts would still interchange. This is one of the reasons the Israelis had so much success updating the Sherman to the M50 and M51, these tanks used early small hatch hulls, that never had HVSS suspension installed, but the hulls took the updated suspension with few problems. When the Lee went into production, though it was far from an ideal design, it still outclassed the German and Italian armor it would face, and its dual purpose 75mm gun would allow it to engage AT guns with much more success than most British tanks it replaced. It was reliable, and well-liked by its users. When the British got enough Shermans, the Lees and Grants were sent to the Far East and saw use until the end of the war fighting the Japanese. The Lee excelled at infantry support, since it had a 37mm canon that could fire canister rounds, along with the 75mm gun and a lot of machine guns. Many of these Lee tanks ended up in Australia after the war. This was the first version of the tank and used a riveted hull with the R975 radial engine powering it, the suspension and tracks were very similar to the M2 medium. Early production tanks had an M2 75mm instead of the improved M3 gun. 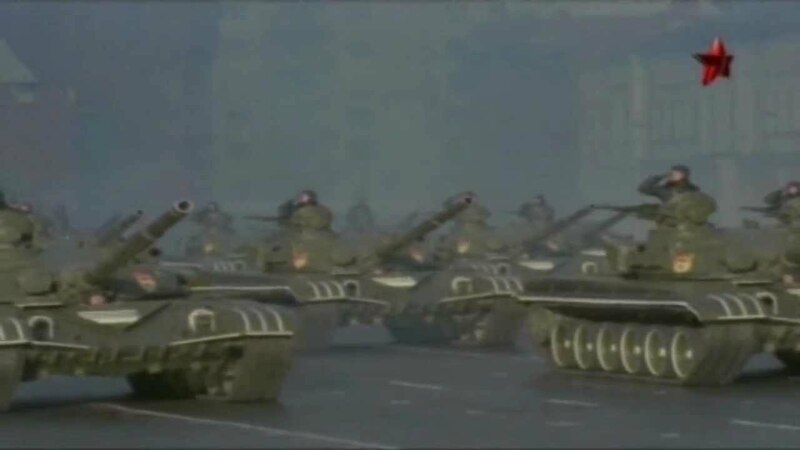 These tanks had a counter weight mounted on the shorter barrel. All Lees had a turret with 37mm M5 gun. The early production version had two hull mounted, fixed .30 caliber machine guns, another mounted coaxially with the 37mm gun, and another in a small turret, mounted on top of the 37mm turret for the commander. They built nearly 5000 of these tanks. The M3 was improved on the production line with things like removal off hull machine guns, and hull side doors. The mini turret mounted M1919A4 was not a popular feature, and was hard to use, but it remained on all Lees, and were only deleted from the Grant version produced exclusively for the British. If this version had a major flaw, it would be the riveted armor plates could shed rivets on the inside of the tank and these rivets bounced around like a bullet. This was bad for the crew, but, rarely resulted in a knocked out tank. A field fix for this was welding the rivets in place on the interior of the tank. Most of the M3 Lees produced went to the British. This version of the Lee had a cast hull, and R975 radial power. It was really the same as the base Lee in most respects including improvements. 300 built. These cast hull tanks have a very odd and distinctive look. They look almost like a M3 Lee was melted. This hull casting was huge and more complicated than the M4A1 casting. Most of these tanks were used in the United States for training. Another welded hull but this one powered by the GM 6046 Twin Diesel. 322 built, like the base Lee, with the same improvements. This is the first vehicle the 6046 was used in, and most of the bugs were worked out on this model. This version had a riveted hull and was powered by the A-57 multibank motor. This motor was so large the hull had to be stretched for it to fit; it also required a bulge in the top and bottom of the hull to fit the cooling fan. They also had to beef up the suspension, and the suspension units designed for this would become standard units on the Sherman. This would be the only version of the Lee with the improved bolt on offset return roller VVSS, otherwise this tank was very much like the base M3. 109 built. This motor’s bugs were worked out on this tank and would go on to power a large chunk of Sherman production. Another welded hull, powered by the GM 6046 Twin diesel with a new bigger turret to house British radios. 591 built. This new turret deleted the small machine gun turret on the roof of the 37mm turret. This version was used only by the British. The famous General Montgomery’s personal M3A5 is on display in England, at the Imperial War Museum in London. The majority of Lee and all Grants saw service with the British, and many Lees went to the Soviet Union. They were generally well liked by both nations and more reliable than most of its British and German contemporaries. These tanks were better than the enemy tanks they faced until the Germans up gunned the Panzer IV series. When they were replaced with M4s of various types the M3 were shipped to the Far East for use in Burma and New Guinea. The Japanese had no tank that could take on a Lee, let alone a Sherman. Using soldiers as suicide bombers, and mines still worked though, there was also a pesky 47mm AT gun, but it was rare. They saw limited use in the US Army’s hands some seeing combat in North Africa, because US combat units lost their Shermans to replace British losses, and a few were used in the PTO. The Sherman owes it success to the lessons learned producing the Lee and from its use in combat. The 75mm gun and automotive systems, even the more complicated ones, would be perfected in the Lee and re-used in M4, and the Sherman only had one motor not tested in the Lee first. Many of the Lee variants were produced at the same time and the numbering system was more to distinguish between hull and engine types, not to model progression like in aircraft, and other tanks. This practice was carried over to the M4 series as were all the engines used in the Lee. Many people familiar with the way the United States designated aircraft during the war figure it was carried over to tanks and think an M3A1 was an improved M3, and an M3A2 was an improved A1. This is not the case, as many of these versions were produced at the same time, and they all received the same sets of improvements, though some factories took longer to implement things than others. The M4 went into production as soon as the jigs for the turret ring were produced and ready to be used. Production actually started on the cast hull M4A1 first, with the welded M4 following right behind it. Like the Lee, there were many version of the Sherman in production at the same time. There are many photos of Lee’s coming off the production line, with Shermans in the line right behind the last Lee, so there was no real gap in production between the two tanks at most of the factories. First off, Americans referred to the Sherman as the M4, or M4 Medium, or Medium, the Sherman name was not commonly used until post WWII. The British came up with the name for the M4 and referred to it with their own designation system that will be covered in more detail later. They also named the Lee, and Stuart, and at some point the US Army just stuck with the naming scheme. The full story behind this is still a minor mystery, with US war time documents confirming the ‘general’ names were at least used on paper by the US Army during the war. Now let’s cover the factory production versions of the Sherman. Also keep in mind, it is very hard to define just how a Sherman may be configured without really knowing where and when it was produced. In some rare cases, large hull, 75mm armed Shermans got produced with normal ammo racks, when the norm for large hatch hull tanks was wet ammo racks. 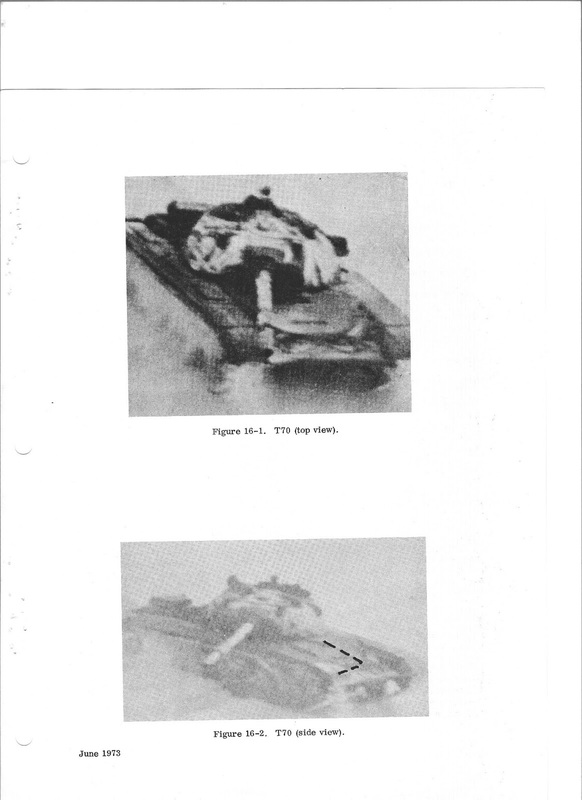 These tanks used the same R975 motor as the M3, and M3A1. The vast majority of the bugs in this automotive system were worked out before the M4 even started production. This really helped give the Sherman its reputation for reliability and ease of repair. The M4 had a welded hull with a cast turret mounting the M3, 75mm gun. Early variants had three hull machine guns, and two turret mounted machine guns. The hull guns were all M1919A4 .30 caliber machine guns, two fixed, and one mounted in a ball mount for the co-drivers use. The fixed guns were deleted from production very rapidly. The turret armament remained unchanged for the whole production run: Using the M3 75mm gun with the M1919A4 coaxial machine gun and M2 .50 caliber mounted on the roof. The turret would be the same turret used on all early Shermans and would be interchangeable on all production Shermans. This version was not produced with the later improved T23 turret but did get some large hatch hulls in special variants. There were two variants of the M4 to be built with the large hatch hull. The first, the M4(105) was a large hatch hull mated to the 105mm howitzer, on the M52 mount, in the standard 75mm turret. These hulls did not have wet ammo racks or gyro stabilizers, and the 105mm turrets had an extra armored ventilator, the only turrets to have them. The M4 (105) gun tanks had a special mantlet, with four large screws in the face, unique to 105 tanks. Production started in February of 44, and continued well into 45, with late production M4(105) tanks getting HVSS suspension. These tanks were used as replacements for the M7 Priest in tank units, and spent most of their time being used as indirect fire support, like the M7 they replaced. One other variant of the M4 to get the large hatch hull(100 or so small hatch casting were made as well), this was the M4 ‘hybrid’, this hull was welded, but used a large casting very similar to the front of the M4A1 on the front of the hull. It was found that most of the welding hours building the welded hull tanks were spent on the glacis plate. They figured by using one large casting, incorporating the hatches and bow gun would save on welding time and labor costs. These M4 hybrids were used by the British to make Ic Fireflies. They liked the 75mm turret these tanks came with since they already had a loaders hatch, this saved them time on the conversion since they didn’t have to cut one. These large hatch M4s did not get the improved T23 turret, but did have wet ammo racks and all the large hatch hull improvements. Most of these tanks were shipped to Europe or the Pacific, making survivors rare. The M4 along with the M4A1 were the preferred US Army version of the Sherman until the introduction of the M4A3. This tanks was made in five factories from July of 42 to March of 45, 7584 produced. This was virtually the same tank as the M4, with the same motor and automotive systems and armament. The key difference was the cast upper hull. This huge upper hull casting was one piece. This was a very hard thing to do with casting technology at the time, and something the Germans could not have reproduced, they lacked the advanced technology, and facilities needed to do so. Everything from hatches to wheels, and turrets, and guns were interchangeable with the M4 and other Sherman models. This version saw production longer than any other hull type. It also saw all the upgrades like the improved large hatch hull with wet ammo racks, the T23 turret with 76mm gun, and HVSS suspension system. It was 30 of these M4A1 76 HVSS tanks that were the last Shermans ever produced. The M4A1 was also the first to see combat use with the improved M1 gun and T23 turret during operation Cobra. Three factories produced 9527 M4A1s with all turret types from Feb 42 to July of 45. The US Marines used one Battalion of these tanks on the Cape Gloucester campaign, small hatch M4A1 75 tanks. This was the only use of this tank by the Marines. This version of the Sherman used a welded hull nearly identical to the M4, but with a pair of vented armored grates on the rear hull deck. The M4A2 tanks used the GM 6046 twin diesel. This version was produced with all the improvements the other types got, like the large hatch hull with wet ammo racks, the T23 turret with improved M1 gun, and HVSS suspension. This version would see very limited combat in US hands, most being shipped to Russia with a few early hulls going to the Brits and USMC. This was the preferred version for Soviet lend lease deliveries, since the USSR was using all diesel tanks. It was produced in six factories with 10,968 of all turret types produced from April of 42 to July 45. A little trivia about this version, the Sherman used in the movie Fury, was actually a late production M4A2 76 HVSS tank. The only way you can tell a late A2 from a late A3 is by the size of the armored grills on the back deck. They did a great job of hiding this area in the movie. The Marines operated a lot of small hatch and a fairly large number of large hatch M4A2 tanks, until the supply of 75mm armed version dried up in late 1944. Then they switched over to large hatch M4A3 75w tanks, but there were some A2 holdouts amongst the six battalions. This would be the base for what would be the final Sherman in US Army use, seeing action all the way out to the Korean War in US Army hands. This tank had a welded hull just like the M4, A2, and A4, but used a new motor. The Ford GAA V8, this motor took some time for its bugs to be worked out, so unlike say, the Nazi Germans, the US Army didn’t use it until it was ready for serious production. When it was, it became the preferred US Army version of the tank in both the 75mm and 76mm armed tanks. It would see all the improvements, and be the first hull type to take the HVSS suspension system into combat for the US Army. The M4A3E8 or M4A3 tank with T23 turret and HVSS suspension bolted on would be the final and ultimate US Army Sherman. It would be produced in three factories with all turret types, 12,596 built in total between June 42 and June of 45. The M4A3E2 Jumbo, Fishers fat and special baby! FTA was the sole producer of one very special variant of the Sherman, the M4A3E2 Jumbo. This version of the Sherman was the assault Sherman, though not expressly designed for it, was manufactured to be able to lead a column up a road and take a few hits from German AT guns or tanks so they could be spotted without having to sacrifice the tank. It had a lot of extra armor, and could take a lot of hits before being knocked out, but was still not impervious to German AT gun fire. Only 254 of these tanks were produced, and all but four were shipped to Europe for use by the US Army. They were all armed with the M3 75mm gun. There was a surplus of M1A1 76mm guns in Europe due to an aborted program re arm 75mm Sherman tanks with the guns. Many of the Jumbo’s ended up with these guns, but none were ever factory installed. The tank was no different in automotive components from the M4A3 tanks, with the sole difference being the slightly lower final drive gear ratio, going from a 2.84:1 ratio in the base Shermans, to 3.36:1 on the Jumbos. This reduced the top speed slightly but helped the tank get all the extra armor moving. The Jumbos were well liked by their crews and in great demand; no more were built though, the only batch being produced from May to July of 1944. Had the invasion of Japan been needed, a special Jumbo with larger turret that included a flame thrower was considered, but we all know how that story ended. This version of the Sherman was issued to the Marines when the M4A2 75mm tanks went out of production. The version they would have been issued, would all have been large hatch M4A3 75w tanks, and they may have gotten some with HVSS. This tank is the oddball of Sherman tanks. It had a welded hull and used the A-57 multibank motor. A tank motor made from combining five car motors on one crank case. As complicated as this sounds, it was produced in large numbers and was reliable enough to see combat use, though not in American hands in most cases. In US use they tried to limit it to stateside training duty. The Brits found it more reliable than their native power plants, and liked it just fine. This version never got the improved large hatch hull or T23 turret with M1 gun. Most were shipped to the Brits via lend lease and many were turned into Vc Fireflies, making it the most common Firefly type. The Free French also got at least 270 of these tanks in 1944. The Chinese also received these tanks through lend lease but not many. The US Marines operating these tanks in the states as training tanks, 22 of them for two months before they were replaced by M4A2s. This tank had a longer hull, like its Lee cousin to accommodate the big A-57 motor. It was the first Sherman version to go out of production. It was produced in one factory (CDA) from July of 42, to November of 43 with 7499 built. The A4 has the honor of being the heaviest and largest standard Sherman. The larger hull to accommodate the A57 motor, and the motor itself added weight. The British used these tanks extensively in combat. These tanks show up in British test reports as well, often pitted against tanks like the Cromwell in reliability or other tests, and usually coming out ahead. Anyone who has ever changed the spark plugs on their car should really be able to appreciate how hard a motor made by tying five six cylinder automobile engines together, on one crank would be. All Sherman variants share a lot of details and most spare parts interchange. Only the motors really call for different parts. All early Sherman tanks had 51mm of armor at 56 degrees on the front hull, and 76mm on the front of the turret. The 56 degree hulls are called small hatch hulls because the driver and co-driver had small hatches that forced them to twist sideways to get in and out. They also started out with direct vision ports along with periscopes for crew vision. Even the cast tanks matched these specs and the hatches from a cast tank could be used on a welded tank. These early hulls had some of the ammo racks in the sponsons above the tracks. Not a great place for ammo, but not an uncommon one for it either. As they improved the hull, they added plates over the direct vision ports and eventually removed them from the castings. Large plates were eventually welded over the ammo racks on the sides, and this extra armor was eventually just added into the casting on the cast hulls. It’s safe to say no small hatch tanks were factory produced with a 76mm gun or improved T23 turret. The major hull change came when they upgraded the drivers and co drives hatches making them bigger. They also thickened the front armor to 64mm but reduced the slope to 47 degrees to fit the new driver’s hatches. The M4 (hybrid and 105 only), M4A1, A2, and A3 were produced with these improved large hatch hulls. Many of these improved large hull tanks had the original 75mm gun and turret. Even the M4A3 with HVSS suspension was produced with the 75mm gun and turret. Most of the large hatch production was with the new and improved T23 turret. These larger hatch hulls would still accept the majority of the spares the older hulls used and the lower hull remained largely unchanged and would accept all the suspension types. Any large hatch M4A3 hull was likely converted to an M4A3 76 HVSS post WWII. Through the whole production run minor details were changed. The suspension saw many different version before the final HVSS type was produced. The track types also changed and there were many variants made from rubber and steel, or steel. There were even at least six different types of road wheel! There are so many minor detail changes, the scope is to big to cover in this post, needless to say, the only other tank I know of with so many minor changes over the production run was the Tiger, and in the Tigers case it’s just sad, with so few produced, it means almost no two tigers were the same. This was not the case for the Shermans and the changes did not slow production down at all and in many cases were just different because a particular part, like an antenna mount, or driver’s hood, could have been sourced from a different sub-contractor, and the parts may look different, but would function exactly the same. Tiger parts are not good at interchanging without modification, and a crew a craftsmen to custom fit them. The changes made to the Sherman were either to incorporate better parts, or to use a locally made substitute part for one in short supply, so making their own version allowed them to continue production without a slowdown. To really get a handle on these differences there are two really great sources. This is the easy, way: Sherman Minutia site a great site that really covers the minor detail changes on the Sherman tank very well. You can spend hours reading it and looking over the pictures. It explains little of the combat history of the Sherman but covers the minor changes on the vehicles themselves very well. You can spend hours on this site learning about minor Sherman details. It is also a primary source for this post. Another great way is to get a copy of: Son of a Sherman volume one, The Sherman design and Development by Patrick Stansell and Kurt Laughlin. This book is a must have for the Sherman plastic modeler or true enthusiast. It is filled with the tiny detail changes that took place on the Sherman production lines from start to finish. They cover everything from lifting eyes to ventilators, casting numbers, to most minor change to the turrets. Get it now before it goes out of print and the price skyrockets. I liked it so much I bought two! The turret saw continual change as well, but remained basically the same. The 75mm gun never changed but its mount and sighting system did. The turret lost the pistol port, and then gained it back. It gained a rotor shield over time and an extra hatch. All these detail changes are covered on the site above and in the Son of a Sherman book. The important thing to note was the tank saw continual improvement to an already reliable, and easy to produce design. The Sherman was easy to produce for an industrial nation like the USA, but beyond Nazi Germany’s technical capabilities for several reasons, like large casting and the gun stabilization system, or even multiple reliable motors to power the tens of thousands of tanks made. In the basics section I’m only going to cover one more thing. The Sherman tank was not as blind as the tanks it faced. The M4 series, from the first production tank, to the final Sherman that rolled off any of the production lines, were covered in periscopes or view ports for the crew. The gunner had a wide angle periscope that had incorporated the site for the main gun, and they very quickly added a telescopic site to go with it. The commander had a large rotating periscope in his rotating copula. The loader had a rotating periscope and the driver and co-driver had two, one in their hatch, and another mounted in the hull right in front of them once the DV ports were deleted (non-rotating). Later version added a direct vision cupola and a periscope for the loader in his new hatch. All these periscopes could be lowered and the port closed, and if damage easily and quickly replaced from inside the tank. All this gave the Sherman an advantage in spotting things outside the tank; they were still blind, just not as blind as most of the tanks they would face. Finding an AT gun in a bush could be very challenging for any tank, and infantry if not scared off by the presence of a tank in the first place can sneak up on one pretty easy. This was a big advantage when it saw combat and throughout the tanks career it was always one of the best if not the best tank of the war. It was reliable, the crew had a good chance of spotting enemies before other tank crews, the gun was stabilized, fast firing, and accurate. It was as good or better than most of the tanks it faced, even the larger German tanks. These tanks were largely failures, with only long debunked Nazi propaganda propping up their war record. The Sherman has the opposite problem. Sherman Builders: Just How Many Tank Factories Did the US Have Anyway? They Had 10 and 1 in Canada. Most of the information in this section will be a summation of the section in Son of a Sherman. Other stuff I had to dig around on the internet for. Anyone who has more info on the tank makers, please feel free to contact me. Parts from all these tank makers would interchange. Many used the same subcontractors. I don’t think anyone has tried or if it’s even possible to track down all the sub-contractors who contributed parts to the Sherman at this point. Some of the manufactures were more successful than others, some only producing a fraction of the total Sherman production, others producing large percentages. By the end of production, all the US and her allies needs for Shermans were being handled by just three of these factories. ALCO also produced M3 and M3A1 Lees, and made Shermans up to 1943. They were a fairly successful pre-war locomotive manufacturer founded in 1901 in Schenectady, New York. They also owned Montreal Locomotive works. ALCO made several version of the Sherman, and stayed in the tank game until the late 50s, helping with M47 and M48 production. The company went under in 1969. Baldwin was another early producer, building three versions of the Lee, The M3A2, M3A3, and M3A5. They mostly built small hatch M4s, with just a handful of M4A2(12). They were out of the Sherman game by 1944 and out of business by 72. They were founded in Philly in 1825, and produced 70,000 steam locomotives before it died. Chrysler Defense Arsenal is kind of special. It was a purpose built tank factory, funded by the US Government, and managed and built by Chrysler. Construction on the factory started in September of 1940. Completed M3 Lee tanks were rolling of the line by April of 1941. This was before the factory was even finished being built. It was built to stand up to aerial bombing. They produced M4A4, and M4 tanks as well and M4 105s, M4A3(105)s, and M4A3 76 tank and nearly 18,000 of them. Chrysler was the sole producer of M4A3E8 76 w Shermans, or the tank commonly known and the Easy 8. They produced 2617 units, but post war many A3 76 tanks were converted over to HVSS suspension. A very big chunk of the overall Sherman production came from this factory and it went on to produce M26 Pershing tanks. Chrysler built this factory in a suburb of Detroit, Warren Township Michigan. Chrysler used it’s many other facilities in the Detroit area as sub manufacturers, and many of their sub-contractors got involved too. CDA not only produced the tanks, it had the capacity to pump out huge numbers of spare parts. CDA lived into 90s before Chrysler defense systems got sold off to General Dynamics. It took part in making the M26, M46, M47, M48, M60 and M1 tanks. I couldn’t find much out about FMW, Son of a Sherman says they were founded in Warren Ohio in 1917. They produced less than a thousand M4A2 small hatch tanks. They were slow to produce them, making about 50 a month. They were not contracted to make any more Shermans after their first 540 total, 1942 contract. They did build some M7, and M32 tank retrievers. They were out of business by the mid-fifties. Fisher Tanks Arsenal (FTA) has a lot of common with Chrysler Defense Arsenal, except this time Uncle Sam went to Fisher Body, a division of General Motors. Fisher decided to build the tank plant in Grand Blanc, south of Flint Michigan. The factory broke ground in November of 1941 and the first M4A2 Sherman rolled off the line in January of 1942, before the factory was fully built. Lima was one of the first producers of the cast hull M4A1. It did not produce any Lee tanks. Its production capacity had been taken by locomotives to the point just before Sherman production started. They produced the first production M4A1, that was shipped to England, named ‘Michael’, and it’s still on display at the Bovington Museum. They produced Shermans from February of 42, to September of 1943, producing M4A1s exclusively, and they built 1655 tanks. The war was a boon for Lima, they’d been in business since 1870, and the contracts from the military for locomotives really helped them out. Post war, they failed to successfully convert to diesel electric locomotives and merged with another firm. PCF was founded in 1905 in Bellevue Washington. The only west coast tank maker, PCF produced 926 M4A1s from May of 1942, to November of 1943. As soon as production stopped they started production on the M26 tractor, the truck portion of the M26 tank transporter. They never got back into tank production, but still exist today as PACCAR Inc., one of the largest truck makers in the world. They started tank production with the M3 Lee in June of 41, and stopped production on that in August of 1942. They then produced the M4A1 from March of 42, to December of 43, and the standard M4 from October of 42 to August of 43. Pullman Standard was a pretty famous luxury train passenger car maker, and another company that made rolling stock combined into one company. Pullman Palace Car Co was founded in 1867, or there about. I’m sure some train geek will be dying to fill me in on the company’s history but I’m not really going to look deeply into it. It does make for one of the more interesting stories about a Sherman tank producer. Their main tank factory was in Butler, Pennsylvania. And they helped produce some Grant tanks before they started Sherman production. They produced the M4A2 from April of 42 to September of 43, and produced 2737 tanks. They also produced 689 standard M4 Sherman tanks from May of 43, to September of 43. Soon after these contracts were finished the US Government broke the company up due to some anti-trust complaint. The thing to remember about all the Sherman makers is each one had a small imprint on the tanks they produced. So, yes, an M4A1 small hatch tank was the same no matter who made it and all parts would interchange with no modification needed, but the tanks from different makers still had small, cosmetic differences. They may have been something like nonstandard hinges on the rear engine doors to the use of built up antenna mounts instead of cast. Or wide drivers hoods or narrow, to where the lift rings on the hull were and how they were made or even Chrysler's unique drive sprocket they put on all their post A4 tanks. None of this meant the parts couldn't be salvaged and used on another Sherman from another factory without much trouble. Some factories may have produced tanks faster than others, but they all produced them within the contracts specification or they were not accepted.